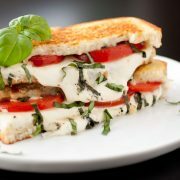 Mediterranean Grilled Cheese – loaded with Mozzarella and Feta Cheese, fresh tomatoes, sliced black olives (you can use Kalamata if preferred), and just the right amount of red onion, fresh basil and garlic. 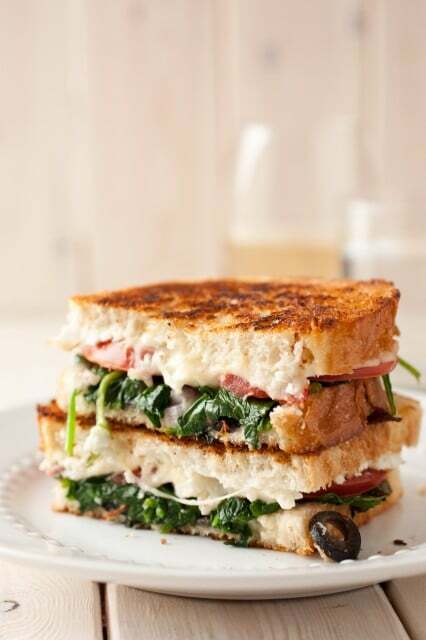 This grilled cheese is an amazingly tasty and deliciously Greek inspired. This is a recipe you won’t want to let go of. 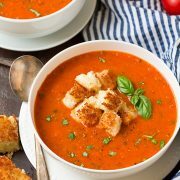 It’s quick, simple, hearty, loaded with an exciting blend of flavors and full of cheese! Does it get much better than that? 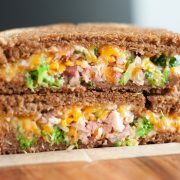 It’s made with two kinds of cheese, loaded with veggies and pan fried until perfectly golden brown on the outside and deliciously melty and gooey on the inside. Yum yum yum! 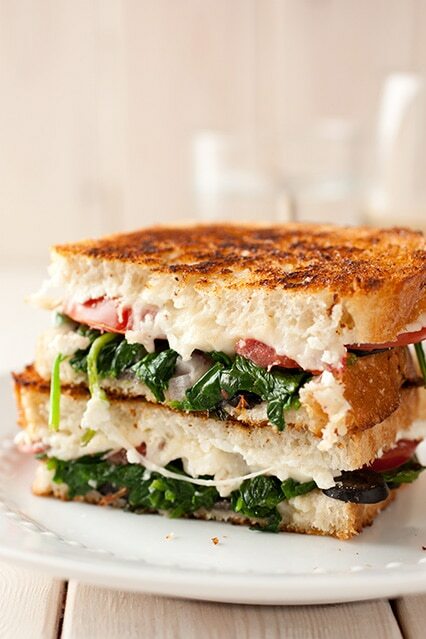 Mediterranean inspired sandwich made with two kinds of cheese, loaded with veggies and pan fried until perfectly golden brown on the outside and deliciously melty and gooey on the inside. Spread 1 tsp olive oil evenly over skillet, add sandwich and heat over medium-low heat. Cook until bottom is golden brown, about 3 - 4 minutes, then remove sandwich from pan. Spread remaining 1 tsp olive oil evenly along skillet, carefully rotate sandwich to opposite side and return to pan over medium-low heat. Cover skillet with lid and cook until bottom is golden brown, about 2 - 3 minutes. Serve immediately.